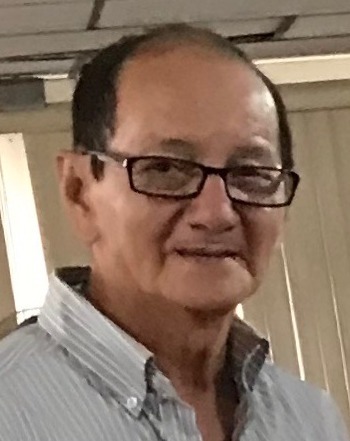 Kleber N. Soriano, age 80, of Clarksville, passed away Monday, February 11, 2019, at Skyline Medical Center. Kleber was born February 26, 1938, in Guayaquil, Ecuador, to the late Santiago Soriano and Jesus Villamar. Mr. Soriano was a member of Immaculate Conception Catholic Church. A Funeral Mass will be held Friday, February 15, at 1:00 PM, at Immaculate Conception Catholic Church. Visitation will be Friday, February 15, from 11:00 AM until the hour of service, at the church. Kleber is survived by his wife, Francia Intriago Soriano; son, Kleber H. Soriano of Ft. Sill, OK; daughter, Katharine Soriano of Chicago, IL; four brothers; four sisters; and two grandchildren. It is requested that no flowers be sent, however, donations may be made to the family.